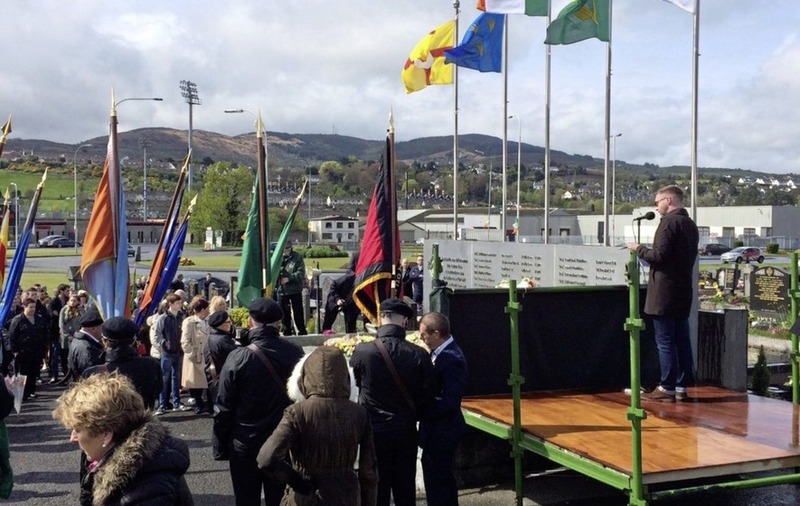 Easter Rising commemorations went ahead in Newry as planned yesterday after a graffiti attack on the republican plot in St Mary's cemetery. 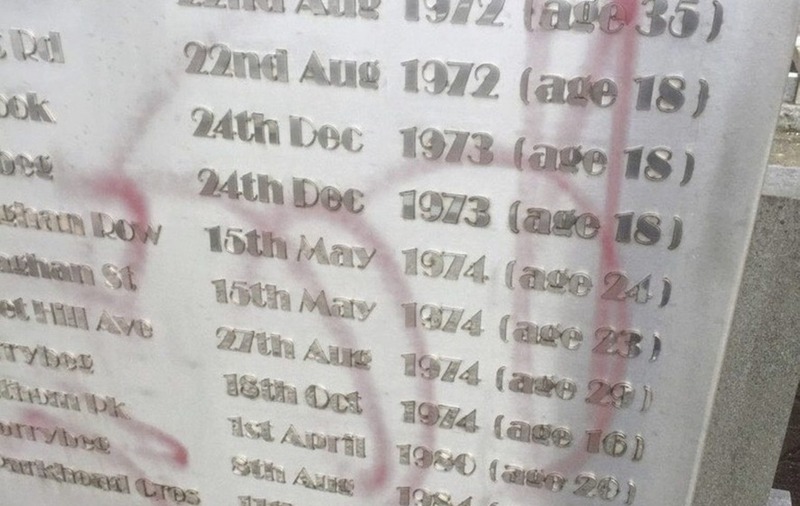 Red spray paint was used to deface the steel tribute panel memorial sometime overnight on Saturday in what has been described as an "outrageous attack" by local Sinn Féin MP Mickey Brady. "All graveyards are sacred places and should be respected," he said. "This attack is outrageous and does nothing other than cause distress to families whose loved ones are buried in the plot". A commemoration, held annually at the Newry graveyard went ahead on Sunday as planned after a clean up operation was carried out. Police in Newry are investigating the incident and have made an appeal for information. "Officers are working to establish a motive for this attack and I am appealing for anyone with any information that can assist with the investigation to contact officers at Ardmore Police Station," PSNI chief inspector Bernard O'Connor said. The steel tribute panel at the republican plot in St Mary's cemetery was installed over ten years ago and pays homage to the three men who died during and after the Egyptian Arch ambush of Monday December 13, 1920.